We started our backpacking trip by hiking the East Rim trail. We set up camp, and took a day hike out to Cable Mountain Viewpoint. It is 2,000 feet up from the Main Canyon floor. 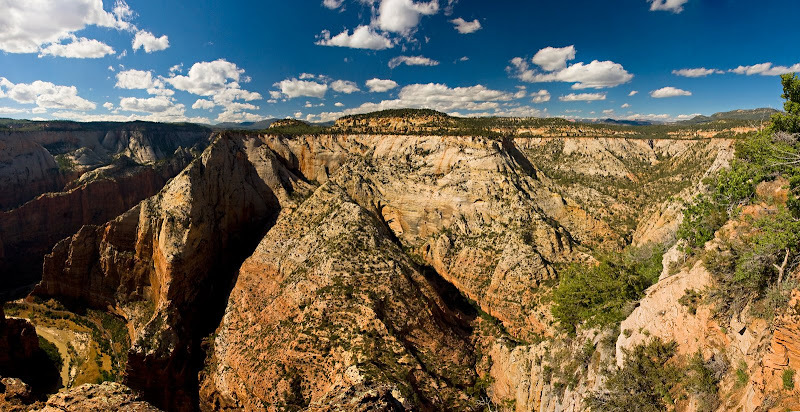 This view is of Observation Point, which is across a small valley from the East Rim. Off to the left you can see a small bit of the Virgin River. In 1901, David Flanigan built a cable (or "draw") works here to quickly move lumber from the East Rim to the floor of Zion Canyon. The cable could lower lumber in two minues, saving many days of travel by wagon over rough roads. From 1904 to 1907, Flanigan ran a steam-powered sawmill at nearby Stave Springs, sending his milled lumber and shingles down the 2,000 foot cable. 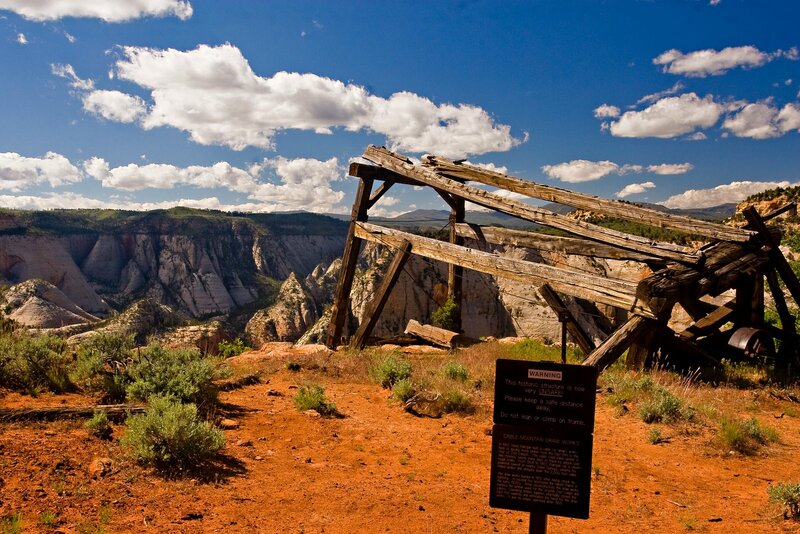 The draw works burned in 1911, after being struck by lightning. A second fire destroyed the rebuilt frame in the early 1920s. After reconstruction, the draw works lowered the lumber used for the original Zion Lodge and cabins. Dwindling timber supplies eventually closed the East Rim sawmills and eliminated the need for the draw works. It was no longer operated after 1930.